Drs. 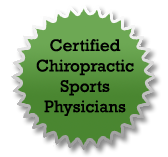 Eric and Heidi Yeager, owners of Back 2 Back Chiropractic in Cass City and Caseville, are now Certified Chiropractic Sports Physicians® (CCSP®). The postgraduate designation of CCSP® is administered by the American Chiropractic Board of Sports Physicians™ (ACBSP™). The mission of the ACBSP™ is to promote the highest standards of excellence and clinical competence for chiropractors specializing in sports medicine and physical fitness. The CCSP® certification has been attained by less than 1% of practicing chiropractors. The CCSP® title is awarded to physicians who successfully complete postgraduate level training in diagnosis and treatment of sports injuries, emergency procedures (CPR/AED/Life Support), athletic training and conditioning, and injury prevention. The CCSP® certification requires the doctor to attend a 120 hour postgraduate program. This instruction is specific to physical fitness and the evaluation and treatment of injuries encountered in sports. Following the completion of these hours, the doctor must then take and successfully pass a comprehensive written examination. The CCSP® training will aid the doctors in the prevention and treatment of athletic injuries by enhancing their diagnostic skills and patient care. The CCSP® accreditation exists to provide a uniform standard of education that assures teams and athletes that the doctor has met a minimum level of competency in chiropractic sports medicine. The CCSP® is also now the minimum standard to be considered as team chiropractor in the US Olympic teams. The current heads of the medical staff for the US Olympic Training Centers in Colorado Springs, Colorado and Chula Vista, California are board certified members of the ACBSP™. Attaining the CCSP® allows the doctors to become eligible to treat athletes competing for the United States at the Olympic Games. 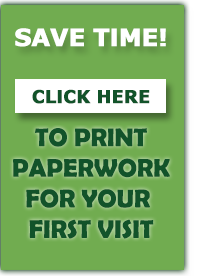 The CCSP® certification authorizes Drs. Eric and Heidi Yeager to be team physicians. Both Doctors Eric and Heidi have a long-standing interest in health and fitness: Dr. Eric as an ISSA certified fitness trainer, competitive Olympic lifter and bodybuilder; and Dr. Heidi as a competitive athlete in volleyball, basketball, track and field, and training in swim and dance. The achievement of the CCSP® certification was a natural extension of these interests. Drs. Eric and Heidi have a desire to help patients achieve health and wellness through optimization of fitness, nutrition, and lifestyle. The CCSP® certification is in addition to what Back 2 Back Chiropractic already provides. Back 2 Back Chiropractic is The Thumb's only husband and wife chiropractic team. Back 2 Back is the best choice for comprehensive chiropractic treatment in The Thumb of Michigan. Back 2 Back features traditional chiropractic adjustments and contemporary treatments including spinal decompression therapy. Back 2 Back also offers massage therapy in a relaxing and comfortable environment. Back 2 Back Chiropractic provides conservative diagnosis-driven treatment of back pain, neck pain, headaches, arthritis related discomfort, and sports injuries. Back 2 Back offers the latest treatment technology utilizing state-of-the-art equipment including flexion-distraction tables and decompression tables. Drs. Eric and Heidi Yeager specialize in sports injury management, rehabilitation, injury prevention, physical fitness, and nutritional counseling. Back 2 Back Chiropractic strives to provide quality care delivered with attention to proper diagnosis and treatment and is committed to spending the time necessary for proper examination, diagnosis, and treatment.